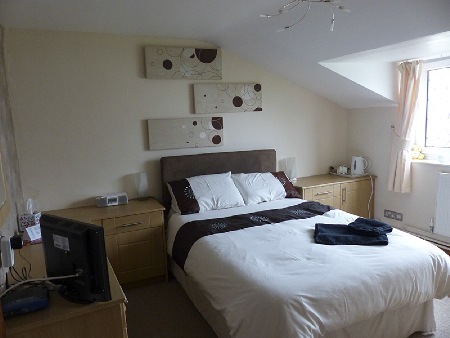 The Green Man offers family friendly guest accommodation in Leek, Staffordshire. 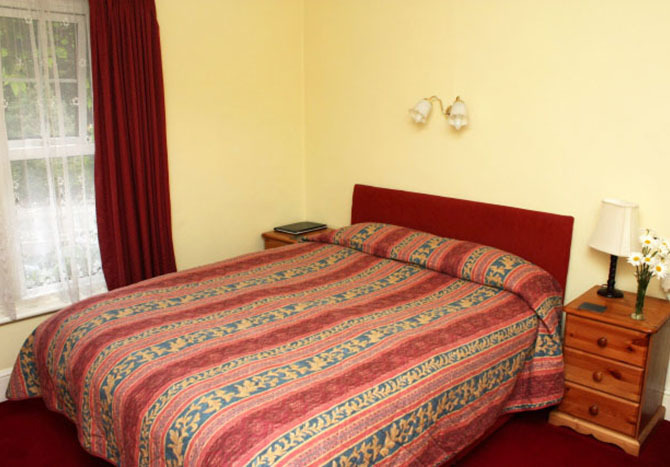 Our guest house is only a short walk from the centre of town and is in an ideal location for exploring the many attractions in the surrounding area. We have ample secure off street parking adjacent to the rooms. There is free Wi-Fi in all of the guest rooms. We provide a full English breakfast using local produce and a local family butcher. Other dietary requirements can be catered for by prior request. Leek has various markets 3 times a week as well as offering a variety of independent shops including green grocers, butchers and bakers on the high street. There is no shortage of places to eat and drink in the town with a wide variety of pubs and restaurants. We are only a short drive to popular attractions such as Alton Towers, Westwood Golf Club, Chatsworth House, Rudyard Lake Steam Railway and Haddon Hall. The Tollgate Inn is a 4 star 16th Century inn that is located at the Wiltshire village of Holt near Trowbridge. We provide guests with luxury guest accommodation, Michelin Pub style cuisine and a selection of fine wines, ales and spirits. A delicious full English breakfast is available each morning and is served in our restaurant. All of the meat is sourced locally from a farm less than 2 miles away. 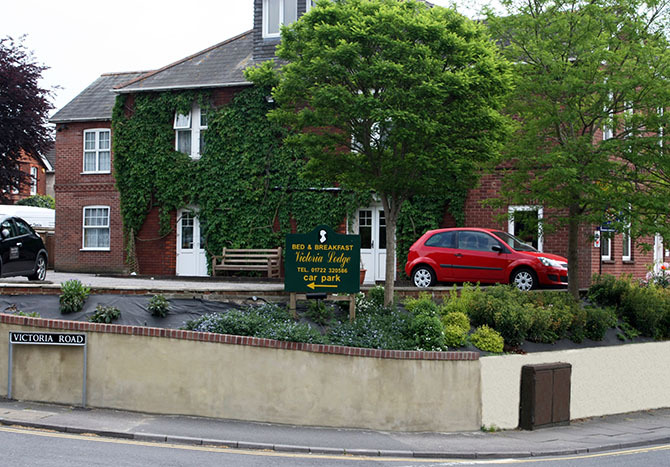 Our inn is set within 1.5 acres of beautiful English countryside and has picturesque gardens and a dining terrace. There are many beautiful walks surrounding the inn, making us a great stop off point for overnight guests or even walkers passing by. For those who are staying and exploring the local area, the Georgian market town of Bradford-on-Avon is a 5 minute drive away and the Roman city of Bath is only 7 miles away and is well known for its spas and pump rooms. Victoria Lodge Hotel is located within 10 minutes of Salisbury’s main square. Our bed and breakfast is a great base for exploring the city itself and the rest of beautiful Wiltshire. Breakfast is served in our lovely dining room. We can cater for those with special dietary needs please just let us know and we will do our best to accommodate you. There are also many traditional restaurants and lovely old pubs in Salisbury and surrounding villages, alongside the more modern and ethnic restaurants. The Old Rectory offers bed and breakfast accommodation in a Victorian country house, situated on the edge of Belton in Rutland, Leicestershire. Our country house is set within its own grounds and gardens and boasts wonderful views of the Eyebrook Valley and surrounding countryside. 10000 acres of woodland at Wakerley & Fineshade. Brynawel Farm is a rural bed and breakfast ideal for those wanting to explore the beautiful area or for those passing through. The B&B accommodation is located in the village of Pontlliw which is part of Swansea city in Glamorgan. Our lounge is the perfect area to relax and unwind after a busy day with breathtaking views over the Welsh Countryside. Located in a rural setting but only 10 minutes from Junction 47 of the M4, Brynawel Farm is the perfect location to visit the many attractions in South Wales. Golfers will find no less than 12 excellent courses within half an hour, and being keen golfers themselves, the proprietors will be happy to advise, and suggest suitable venues. Should you wish to stay on for refreshment after your game, transport can be arranged. Fishermen will be delighted with the nearby Shimano Lake, less than 3 miles away and regularly hosting top class competitions. The Caprice Guest House is a small, friendly, family run guest house on the outskirts of Ifield & just 2 miles from the centre of Crawley in West Sussex. Our guest house is a perfect stop of for all, whether you are just flying out of Gatwick, working in the town or visiting family and friends. The bed and breakfast is also a short distance from several main line train stations (London 45 minutes, Brighton 30 minutes) and only two miles south of London's Gatwick Airport. National Trust properties and gardens: Nymans, Sheffield Park, and Wakehurst Place (Kews country garden open all year) are all very near. Bodiam Castle, Standen, Petworth House, Alfriston Clergy House and Batemans are also within easy reach. Rockfoot is a family run Bed & Breakfast on a working farm in a stunning location overlooking the Campsie Fells, just outside the village of Fintry near Stirling. Our comfortable, modern accommodation provides an ideal base for touring Stirling, Loch Lomond and the Trossochs. Fintry is within easy reach of both Glasgow and Edinburgh Airports. At Rockfoot we guarantee a warm, friendly and comfortable stay with coffee and tea served on arrival. We offer a choice of traditional cooked Scottish breakfast or Continental style version if preferred. Breakfast can be served early on request. There are a number of bars and restaurants in Fintry and the surrounding villages serving good traditional food. The Harlyn Inn offers bed and breakfast accommodation and is situated adjoin the beautiful sandy beach at Harlyn Bay. 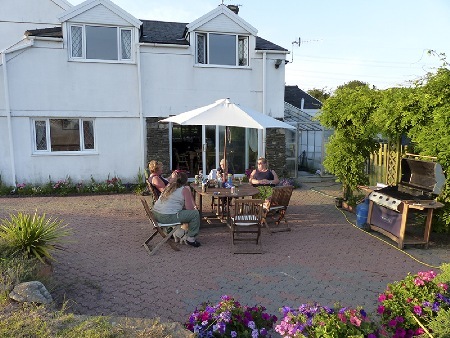 It’s a great base for a superb Cornish holiday and is just a short drive from Padstow. Our friendly and welcoming Inn has two bars, two restaurants and caters for the whole family. We serve locally sourced quality food ranging from light bar snacks and carvery to an extensive à la carte menu catering for fish lovers, vegetarians and the carnivores amongst you. Our bar serves a full range of beverages including a choice selection of locally produced ales and ciders. Directly opposite the Inn is Harlyn Bay, a beautiful sweep of sand sheltered by Trevose Head with its dramatic cliffs. This naturally beautiful beach is lifeguard patrolled, dog friendly and offers excellent surf and all round family fun. There are also six other beautiful beaches in close proximity, within five minutes’ drive. The landscape contains enormous variety offering stunning coastal paths to walk, linking the shopping and lively nightlife of Newquay to the quaint old fishing town of Padstow with its rustic harbour side pubs and shops.